I should being pedalling now from Chicago to Santa Monica by Bicycle Route 66 but instead was hitchhiking from Nashville to Mountain City, Tennessee. My bike delivery in reality is going to take ten days instead of two so I decided to take a bus to Nashville and visit my friends there for a couple of days, then hitch to Mountain City to stay at Appalachian Folk School during the great event – Damascus Trail Days. From last year, when I hiked the Appalachian trail, I knew it was possible to hitchhike along the trail, so I took my chance to do it from Nashville. I was sure it would be fine, but it was much better than any expectations. 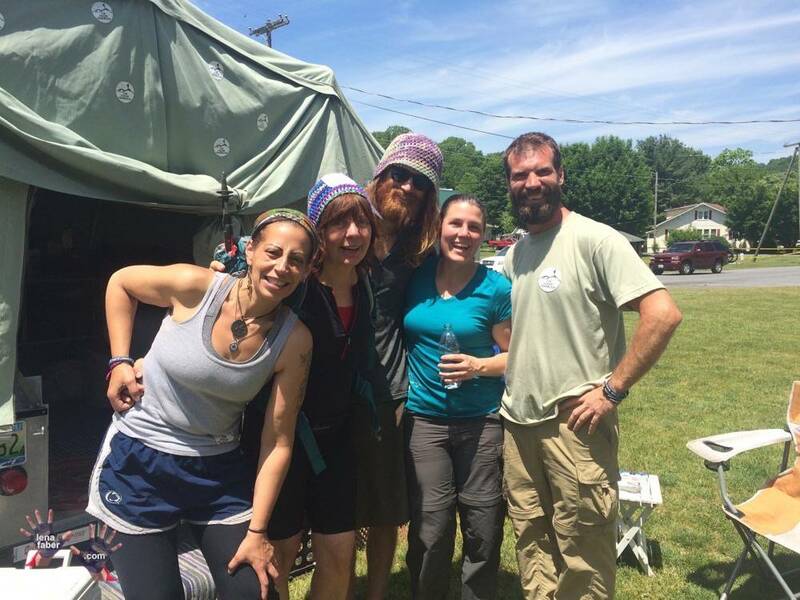 I stayed with my Facebook friends, Alfia and Renat, who invited me since I was hiking the Appalachian Trail. They showed me around. Everything in Nashville downtown is about country music. Country musicians start performing in the pubs along Broadway almost from the morning. Next night in Asheville a picture was the same – the whole town was singing and dancing.